The past few years, my last resort tactic has been ripping a Sunray Shadow through a pool or run. It doesn't work 100% of the time, but sometimes it's just the right thing to shake up a stubborn salmon. At first, I fished the Sunray on a fast swing. After an accidental epiphany with landlocked salmon, I began to strip the tube fly as fast I possibly could. Usually, that meant putting my rod under my arm and stripping with both hands. I tried that technique on the Naugatuck and it worked like a charm. It's an aggressive presentation, no doubt, and it has served me well under most conditions. Last fall, the river was low and fairly warm. As we got further into autumn, the river cooled, but the water level continued to drop. My Sunray tactic didn't work all that well. I was surprised. Even if the fish didn't want to take the rapidly moving tube fly, they would at least show for it. After which, they would be in the mood to take a more conventional fly and presentation. But that just wasn't the case last fall. I think the Sunray took four salmon for me last season, but three were right after a raise of water and on the same day. Overall, the technique failed me. Why did it stop working? If I had to guess, I would say that it spooked fish. I think the fly was too big and the presentation too belligerent for the extreme low water conditions. I'm glad it didn't work. 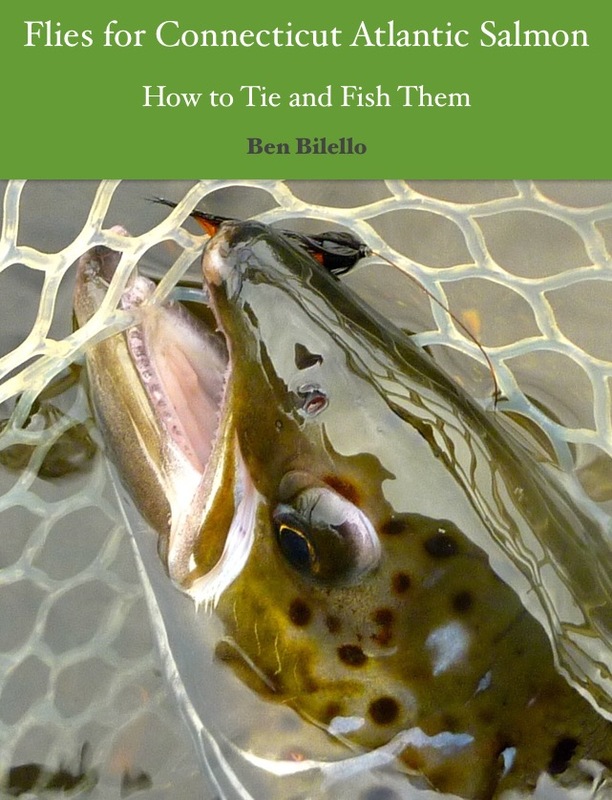 It forced me to find an alternative method for hooking dour salmon. I did just the opposite. Instead of fishing a large, fast fly, I fished deeper and slower with a smaller, heavier tube. Boy, did it pay off! 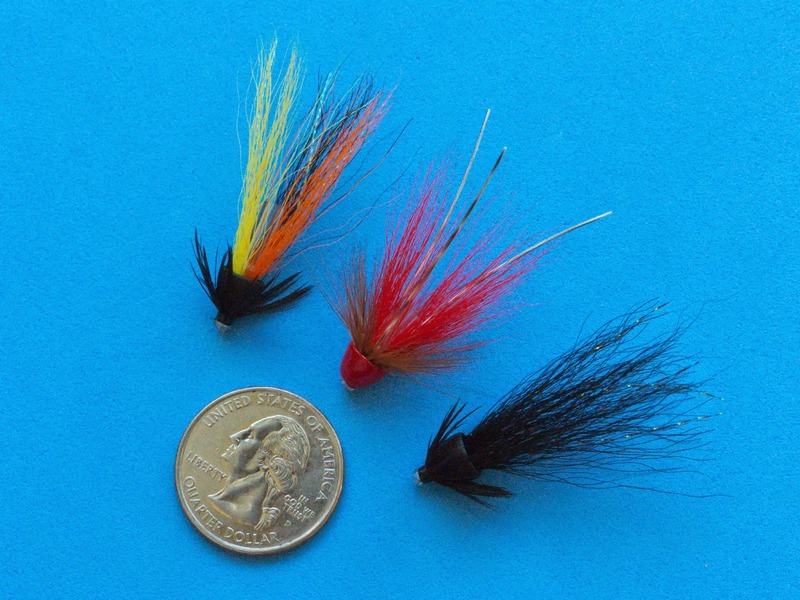 Small Snaeldas (2" total length), tied on copper tubes, were big producers for me last season. They were especially deadly when the fish were holding in fast, turbulent water. Anticipating another low water season, possibly even lower than last fall, I decided to go even smaller. Tying on metal tubes would be sort of a pain at this diminutive size. Tying on plastic tubing and using a cone for the body would be easy, however. The total length of the Snaeldas wound up being between 1"-1.25". They should sink well and their small size won't be too off-putting for the salmon. I know exactly where I'm going to try these. I can't wait! Tying notes: I tie the junction tube directly onto the plastic tubing in order to make a smaller fly. Normally, I use silicone junction tubing. In this case, I use the small size of HMH junction tubing. It's more durable and it seems to hold smaller hooks better than the silicone tubing I use. The downside is, if the junction tube is damaged, the fly will be trashed. I'm not a huge fan of the HMH junction tubing, but I find it's a better solution when it's tied into the body of the fly (as opposed to being slipped onto a completed tube fly). It has a much thicker wall than silicone tubing and should take abuse well. This is a really simple fly to tie. It's much easier than tying a conventional Snaelda or Frances. If there is any interest, I can post step-by-step instructions. *I use cones from Rip Lips Fishing. They are inexpensive and the large size fits well over small sizes of plastic tubing.